Fögrufjöll means Beautiful Mountains. 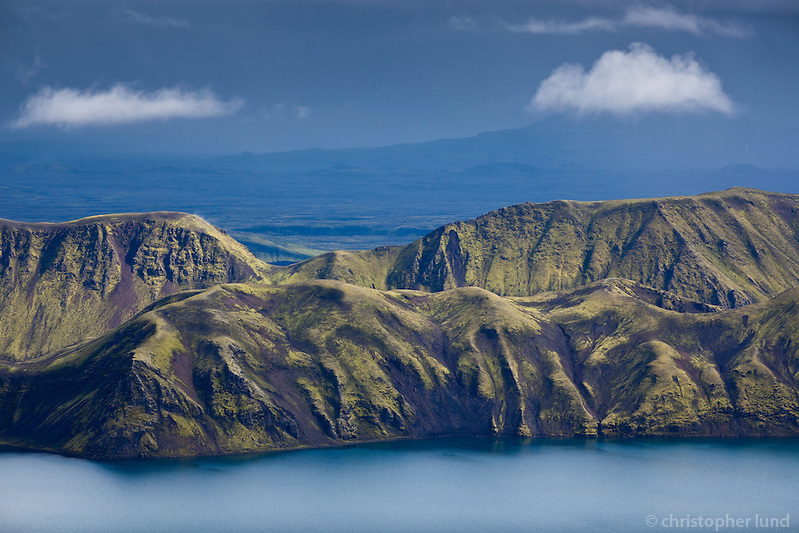 This mountain ridge is on the east side of Lake Langisjór (The Long Sea) in the Highlands of Iceland. The lake is around 20 km in length and up to 2 km wide, with a total surface area of about 26 km² and a depth of 75m at its deepest point. Langisjór is situated rather far from civilisation at the south-western border of Vatnajökull at an altitude of 670 m above sea level. Posted on Saturday, April 2nd, 2011 at 11:39. Filed under: Interior of Iceland, Locations	RSS 2.0 feed.